? ????????????? ?Average Girl? ????? ?? ?? ?Rating: 4.3 (7 Ratings)? ?0 Grabs Today. 1768 Total Grabs. ?????? Preview?? | ? ?Get the Code?? ?? ?????Sopranos? ????? ?? ?? ?Rating: 5.0 (1 Rating)? ?0 Grabs Today. 108 Total Grabs. ??????Preview?? | ? ?Get the Code?? ?? ???????????? ??? ?Easy Install BLOGGER TEMPLATES AND TWITTER BACKGROUNDS ? .exploring terengganu. .my beloved hometown. The Terengganu State museum Complex, Terengganu also known as Lembaga Muzium Negeri Terengganu is located in Kuala Terengganu and was designed by Raja Bahrin Shah, a renowned architect of that time. One of the major prerequisites for this building design was a grand and massive floor area, which the architect duly kept in mind while approaching its final design. In order to preserve the tranquil ambiance and environmental scale of the site, Raja Bahrin Shah set The Terengganu State museum Complex, Terengganu away from the river so that the calm of the river remained undisturbed. One of the main highlights of the original design of this museum is that it incorporated the possibility of future extension of this building without compromising on its basic structural design and aesthetic appeal. The Terengganu State museum Complex in Terengganu consists of glass-reinforced concrete panels that were designed to reproduce the plain panels as well as elaborately fashioned flower patterned panels. These are inspired from the original pre-fabricated panels of the wall of the Malay house. The Terengganu State Museum Complex houses a Main Museum, a Maritime Museum, a Fisheries Museum, 4 traditional houses and a botanic and herbs gardens. The complex architectonics of the Main Museum building is in accordance with the traditional architectural style of Terengganu. The Main Museum is built on 16 stilts and comprises of 4 adjoined blocks to represent a big family. The 10 galleries at The Terengganu State museum Complex showcase a wide variety of exhibits ranging from textiles, crafts, historical, royal, nature, art, petroleum, Islamic, new generation and contemporary arts. Tasik Kenyir, Terengganu or Tasik Kenyir (Kenyir Lake) is reputed as one of the largest and most captivating man made lakes in the world. Tasik Kenyir, Terengganu covers a total area of 369 sq km and is Malaysia's largest rock filled hydroelectric dam. Kenyir Lake in Terengganu is one of the most popular tourist attractions in not only Terengganu but in Malaysia as well. When this man made lake was filled with water, a number of hills stood above the water level, thus creating about 340 man made islands. 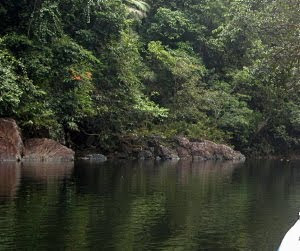 Tasik Kenyir in Terengganu is surrounded by a lush tropical jungle and serves as an ideal getaway for nature lovers, anglers, amateur photographers and pleasure tourists. The lush forest of Kenyir is located in the district of Hulu Terengganu, which lies at a longitude of 102 degree 40 minutes and 4 degree and 40 minutes in latitude. Many believe that this 130 million years old rain forest is the oldest tropical rainforest in the world. A part of this forest falls within the guarded territory of Malaysia National Park that is home to over 10,000 species of plants and 350 species of birds. This forest is a habitat of many local mammals including the mouse deer, barking deer, tapirs, wild boars, elephants, leopards, tigers, and monkeys. 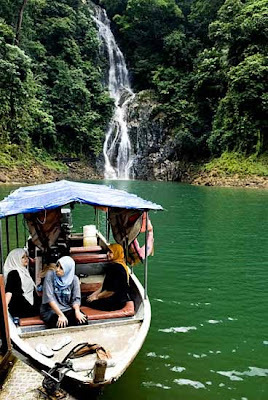 Tasik Kenyir, Terengganu is located at a distance of approximately 55 km from Kuaia Terengganu and offers an endless choice of leisure and recreational activities which include fishing, swimming, canoeing, boating and jungle trekking. You can also indulge in bird watching, cave exploration, white-water rafting, guided nature walks, mountain climbing and many more activities here. The cleanliness of Tasik Kenyir, Terengganu and abundance of food supply ensure that the Lake has a wide variety of fresh water fish such as Baung, Toman, Kelisa and Lampam. Those planning on spending their extended vacation here can put up in houseboats, floating chalets and lakeside resorts that are available here for visitor’s accommodation. 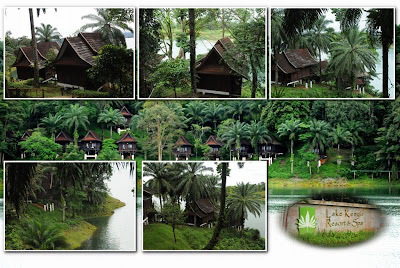 Your trip to Tasik Kenyir in Terengganu is bound to be a memorable holiday experience. 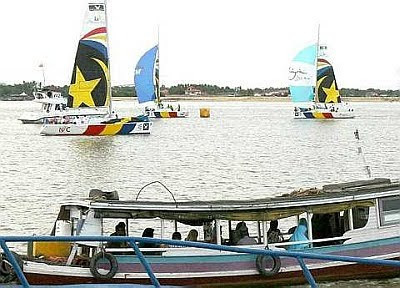 Pulau Duyung, Terengganu is located at the mouth of River Terrengganu and is renowned as one of the most well known boat building areas in Terengganu. Pulau Duyung, Terengganu is actually a small jetty where local villagers arrive from across the estuary from a little river islet called Pulau Duyung Besar to unload their produce to sell in the main market. Pulau Duyung, Terengganu is well connected to various parts of Terengganu state either by boat or by road. The local riverboat charges a nominal fee of 50sen or so to ferry people from this jetty to the islet. Every morning a number of villagers come to this jetty to unload bunches of bananas and baskets of chempedak fruit, a very pungent but delicious fruit, to be sold in the local market. Apart from these common village produces, local handcraft items are also brought to be sold here. Apart from the vendors coming to Pulau Duyung in Terengganu, a number of daily workers and tourists also come here. Tourists who wish to cruise around this place can rent a bicycle and peddle their way through the rusty streets of this place. Bicycle is the most common means of transportation used here by people who work in nearby areas. For those who have water sickness can arrive at Pulau Duyung, Terengganu via the highway. However, the old-fashioned way of travel to Pulau Duyung by riverboat is the preferred option of most tourists. 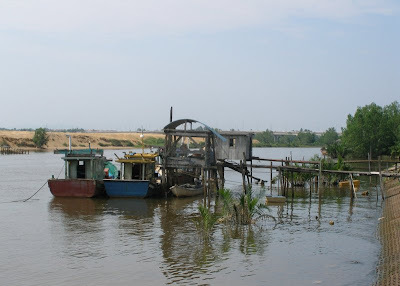 Pulau Duyung is also easily accessible via the Sultan Mahmud Bridge or the Kuala Terengganu waterfront by boat. 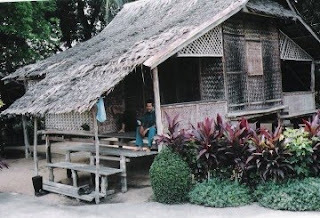 Traditional boat building is still thriving at Pulau Duyung. On a trip to this place you can see boats being made by skilled boat builders who employ various skills which have been passed down to them from generation to generation. A unique aspect about these builders is that they work entirely from their memory and experience, without any set plans. Apart from boat building, Pulau Duyung is also renowned for its dried and salted fish and fish crackers industries. Enjoy your trip to Pulau Duyung, Terengganu! Central Market, Terengganu is located at the end of Jalan Bandar (Bandar Road). This bustling market building comprises of two floors and is the hub of Kuala Terengganu. 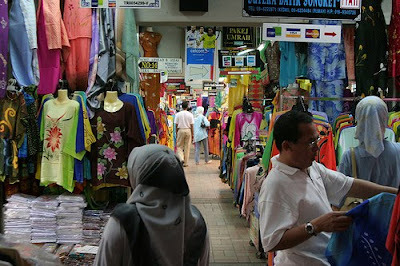 The ground floor of Central Market, Terengganu is occupied by a number of vendors who sell everyday necessity items. 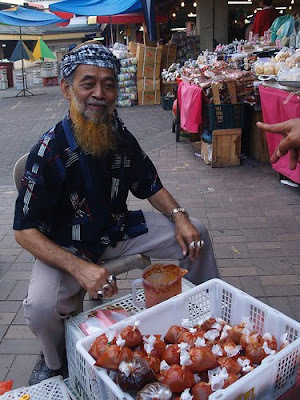 The cacophony of the haggling customers and local women dressed in colorful, vibrant tudungs or head scarves and baju (traditional Malay top and long skirt) selling grain, fruits and sundry items are some of the common sights and sounds of this market. There are a number of shops in Central Market in Terengganu that sell brassware, batik items, books and local medicine as well. The shops that occupy the top floor of the market sell a great selection of baju, scarves, songket- handwoven cloth and batik clothes. Many of these shops accept credit cards from shoppers. Central Market, Terengganu is also known for its rows of candy and confectionery shops that sell all varieties of cakes, breads, confectioneries, pastries and local snacks and dessert. When in Central Market, do try out the colorful Malay and Indonesian cakes called kuih. The most common flavoring ingredients used in kuihs are coconut cream grated coconut either plain or flavored), pandan leaves and gula melaka or palm sugar. These are often neatly wrapped in banana leaves. 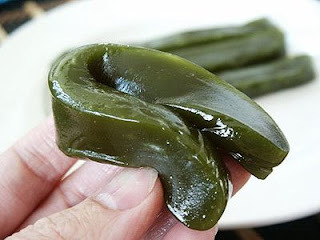 You can also try out the 'dodol', a strange tasting candy sold in this market. It is gooey in texture, is made from coconut and is extremely sweet. Another must-have local delicacy sold in this market is the 'serunding', which is usually sprinkled on rice or on the vegetable and meat dishes. 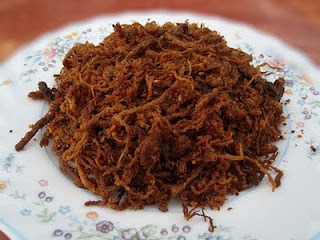 This Malay delicacy is prepared by finely grating beef, chicken or lamb pieces, frying them in hot oil and then generously seasoning them with red hot chili peppers. Bread is the most common accompaniment for Serunding. Do not try it unless you really like spicy food. 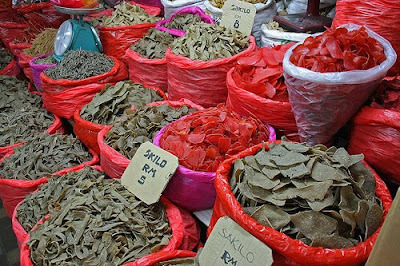 Some other Malay specialties sold at Central Market, Terengganu are fish crackers, seasonal fruits, local arts and handicrafts and delicacies. Istana Maziah, Terengganu, one of the majestic imperial palaces in Malaysia is well known for its distinct architecture. This palace is a fine example of the artistic skills of the Terengganu people and their ingenuity which is amply reflected in the fine blend of modern and traditional elements in its exterior design. 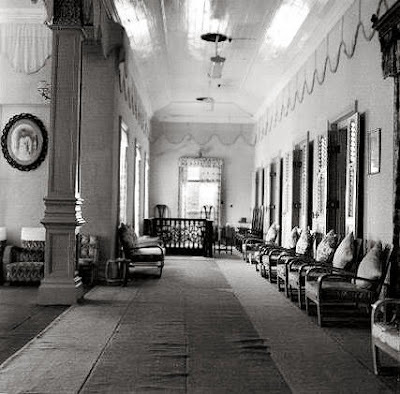 According to popular beliefs Istana Maziah, Terengganu was constructed during the reign of Sultan Zainal Abidin Ill and was built in the year 1897 to replace the lstana Hijau which was burned down during World War II. Istana Maziah, Terengganu was constructed by 20 craftsmen who used a mixture of limestone, clay, coarse salt, egg yolk and honey to build it. The tall shuttered windows of this palace resemble those of a French chateau. This palace sits prettily in front of Dataran Maziah, a beautifully landscaped mini park that has manicured shrubs, trees and paved walkways. An imposing model of Betel Chewing instruments such as Gobek Sireh and Kacip Pinang stand in the centre of this park. Istana Maziah in Terengganu is the official palace of Terengganu’s sultan. It is located adjacent to Bukit Puteri and is a favored venue for holding royal birthdays, weddings, conferment of titles and receptions for local and foreign dignitaries. The distinct deep yellow color of this structure makes it one of the most conspicuous landmarks in Terengganu that draws appreciatory glances from every passerby. Istana Maziah in Terengganu is easily accessible from most places in Terengganu through Jalan Zultan Zainal Abidin or Jalan Hiliran. There are various modes of transportation available, which you can avail of to reach Istana Maziah. You can come here either by road, buses and coaches or by taxis as per your budget. The normal taxi fare is 8.5 sen for one km and 10 sen for one km for air-conditioned taxis. Istana Maziah, Terengganu is one of the most famous cultural attractions of Malaysia. 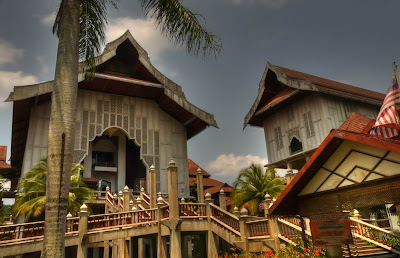 Do not forget to visit this palace on your trip to Terengganu. Turtle Watching at Rantau Abang, Terengganu is one of the must do activities in Terengganu. Whenever you go to Terengganu, make it a point to go Turtle Watching at Rantau Abang. Rantau Abang, a popular tourist destination in Terengganu is located at a distance of approximately 60km to the south of Kuala Terengganu and is a breeding ground of giant leatherback turtles. Turtle Watching at Rantau Abang, Terengganu is a lot of fun as you can relish the serene ambience of this place as you lie quietly in wait, from midnight to dawn, to watch giant leatherback turtles coming ashore to lay their eggs. Rantau Abang is an ideal nesting grounds for the giant Dermocheleys coriaca or the leatherback turtles as its warm grainy sands, favorable beach terrain and steep and deep slope make it easy for these lazy beings to ‘land’ straight up the beach. Rantau Abang is one of the most talked about tourist spots in Terengganu and the best time to visit it is from May to June as the turtles come to its beaches at this time of the year as these are the peak egg laying months. Come here and enjoy Turtle Watching at Rantau Abang in Terengganu. It is once in a lifetime experience to see these turtles, lumbering slowly up the white sandy beaches to lay eggs and then crawling back to the sea. Rantau Abang is one of the very few leatherback nesting sites in the world. Many turtle sanctuaries have been established all over the world in an effort to reverse the decline of leatherback turtles and Rantau Abang is one such place. These giant turtles grow up to 2.5m long and sometimes weigh more than 375 kg. Visitors are forbidden to collect or eat turtle eggs in Rantau Abang and even licensed turtle egg collectors need to acquire prior permission for collecting turtle eggs here . If you want to learn more about these turtles you can watch a documentary on the turtle and its nesting habits that is screened at regular intervals at the Rantau Abang Visitors' Centre. 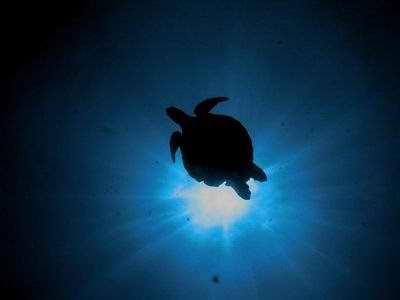 Enjoy Turtle Watching at Rantau Abang! 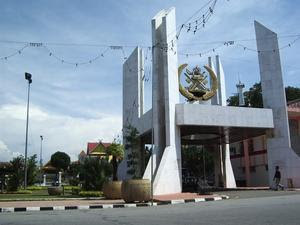 Approximately six km south of Kuala Terengganu is Sutera Semai Centre at Chendering. 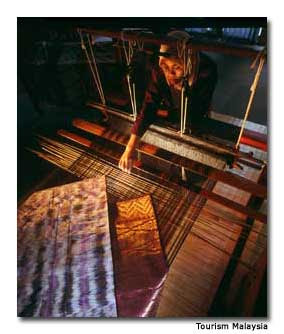 It is Malaysia's pioneer silk weaving centre, - where visitors can witness different stages of silk manufacturing. There, you can watch and learn the painting of batik designs onto the fabrics, resulting in beautiful batik shirts, kaftans, scarves, handkerchiefs, etc. Batik painting is an exquisite and delicate art which requires skill, patience and meticulousness. In batik painting, brightly coloured floral motifs are painted in stages onto dyed cloths. Songket, a piece of dyed silk material weaved with gold and silver threads, is the clothing for royalties, and Malay brides and grooms at their weddings. It is also often worn during special ceremonies and occasions such as on Hari Raya Aidilfitri (the celebration which marks the end of Ramadan, the Muslim fasting month). 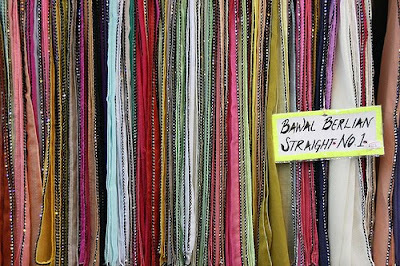 There are many batik and songket centres in and around Kuala Terengganu, which produce and sell them. "It is Malaysia's pioneer silk weaving centre, - where visitors can witness different stages of silk manufacturing"